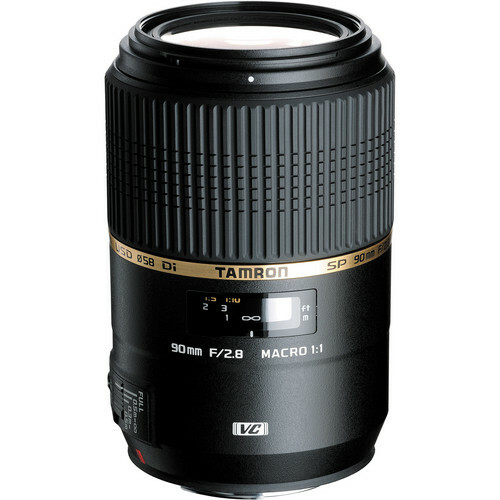 Buy New Tamron 90mm f/2.8 Di SP A/M 1:1 VC USD Lens for Nikon Digital SLR Cameras Malaysia At FotoZZoom! The 90mm f/2.8 SP Di MACRO 1:1 VC USD Lens for Nikon from Tamron is an updated version of their popular 90mm macro lens. It features Vibration Compensation image stabilization technology for limiting camera shake blur and an Ultrasonic Silent Drive Motor for fast, smooth and quiet autofocus. A continuous manual focus mechanism provides precise manual focus, especially important with this lens' 1:1 macro capability. And an Internal Focusing system means the front lens elements do not rotate and the lens does not change length when focusing, also important for macro shooting. In addition to macro capability, this 90mm lens is also considered to be an ideal lens for portraiture.